This entry was tagged Andalucía, creatures, Europe, gardens, life, photography, Spain, travel, Travel theme. Bookmark the permalink. Love it! It looks like a glittery piece of jewelry ! Great photo. They scamper in and out of my house daily. Love them. This is an unusual angle! Great capture! I was afraid he would run away while I went to get my camera ….. He looks like a bedazzled broach. Fab shot! That is a great picture Marianne – it looks like a sculpture! It’s like the have little suction cups on their feet. Perfect subject! Thanks for the pingback, Marianne, much appreciated. 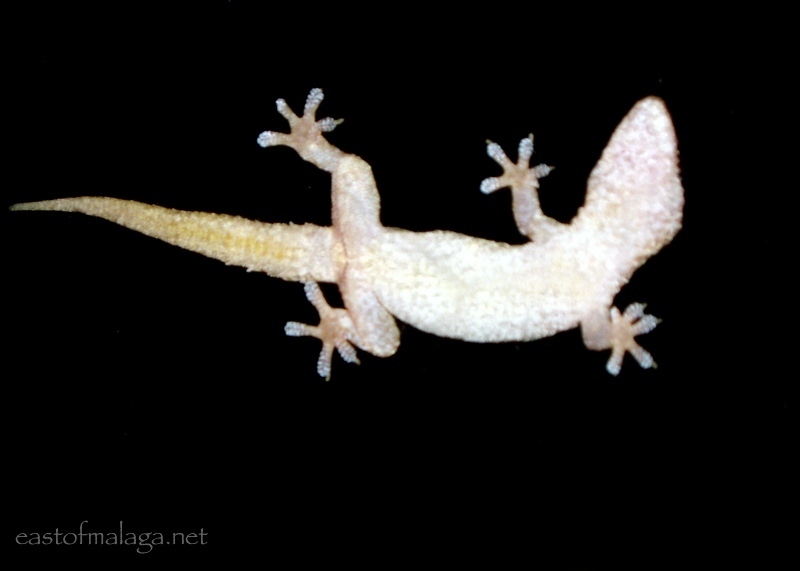 Love your little gecko’s feet. 🙂 Great pic for the challenge, Marianne. Thanks … appreciate that, Sylvia. I think he must have been watching an insect …. getting ready to pounce!